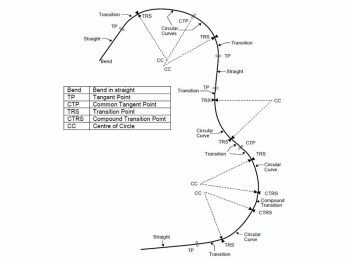 For retrofitting on older tamping machines to automatically generate a spiral (parabolic) versine on transition into and out of curves along with linear ramping of both cross-level and lift. 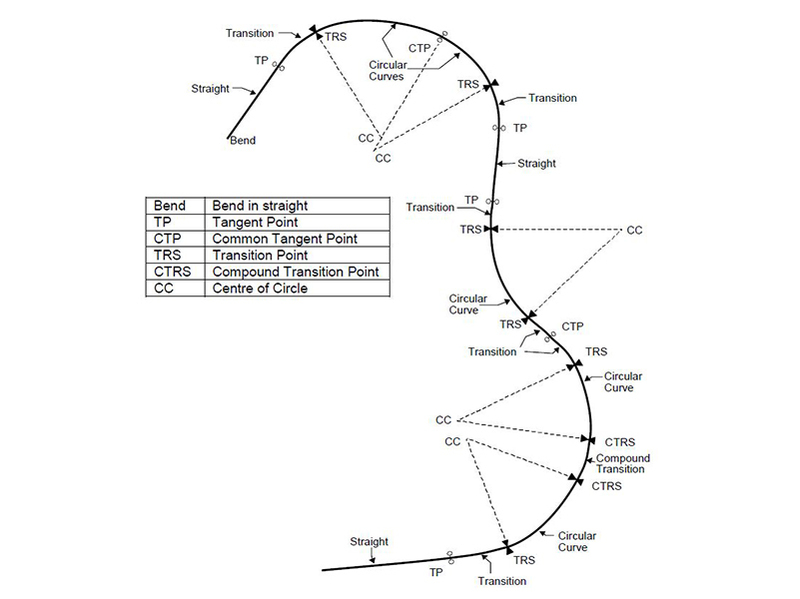 Operator specified radius of curve and length of transition. 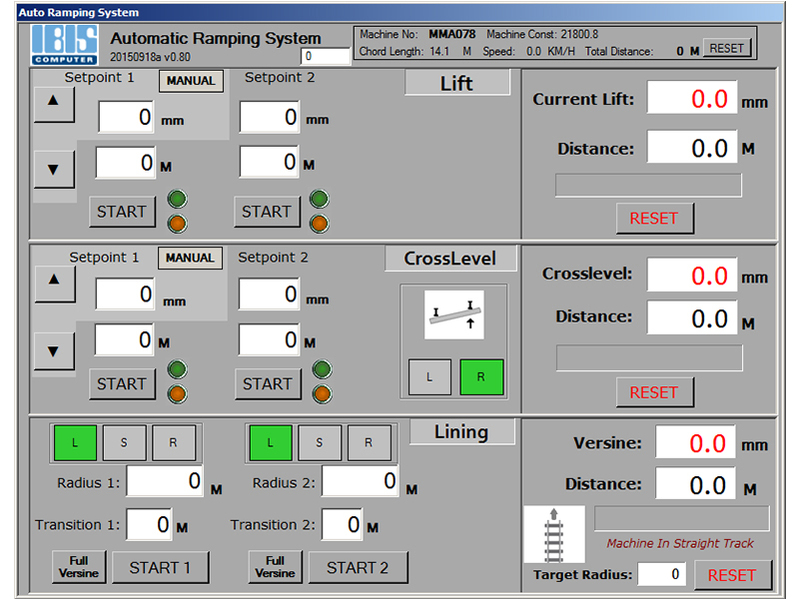 System generates mV output based on distance travelled as measured by encoder. Handles both compound and reverse curves, with ability to blend versine should there be insufficient straight between curves. Touchscreen allows setup of next curve while current is being processes. All actions initiated manually by the operator pressing the assocated START button when machine reaches designated location. 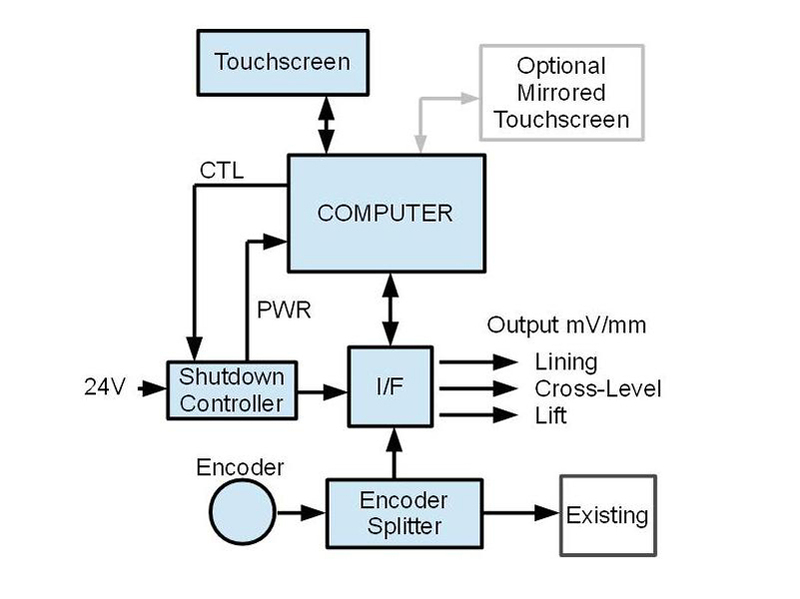 Touchscreen shows progress through curve and instantaneous output in mm. Calculations compensate for length of machine. There is no need to back up the machine as versines are blended during overlapped transitions. 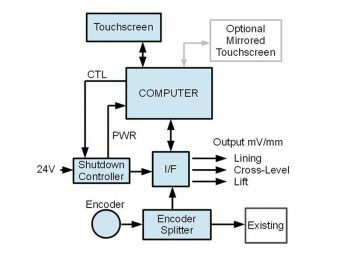 Optional encoder splitter allows co-existence with existing systems. Optional mirrored touchscreen allows operation from multiple cabs.